Proudly locally owned and operated right here in Champaign-Urbana, our skilled plumbing experts are licensed and bonded and can take the hassle out of the experience with clean, reliable professional service. We install brand new systems for a single room or an entirely new construction. We have extensive experience and can most any system large or small, including specialty systems. If you are considering updating your current system with a new installation give us a call and we will help you find the best options to suit your needs. Need a leaky faucet fixed? No Problem. Need a new hot water heater installed fast? We’ll be there. Big or small we can get the job and will do so reliably. Our Plumbers have years upon years of extensive experience in both commercial and residential home plumbing. Everything from finding and repairing leaks to testing water and sewer repair service we are ready to help! Give us a call today. 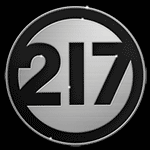 217, Inc. is there for you: 24 hours a day, 7 days a week. When you need a professional Plumber we are ready to help -any time, day or night. If you have a plumbing emergency we can be there 24/7 all year round. It’s important to keep your systems running clean and reliably to avoid expensive replacements and repairs. With our plumbing maintenance plans you can keep the water flowing as it should while saving time and money in the process. Find out more about our Maintenance Plans. We also offer quality plumbing services in Champaign Urbana and surrounding areas. We specialize in both commercial and residential plumbing services. It’s not very fun to have to take a cold shower because the water heater stopped doing it’s job. The same could be said for a cracked or frozen pipe soaking everything around it. Even the steady annoying drip from a leaky faucet around the clock that is incrementally increasing your utility bill each month with gallons of wasted water. 217, Inc. is ready to help with any plumbing services you may need -no matter how big or small! Flooding can do a lot of damage. Whether it’s from a water leak or from a backed up sewer main line clogged by tree roots. Even a basement with a cracked floor or wall during a rainy season can bring in enough moisture to necessitate the need for a sump pump. 217, Inc. is experienced and equipped to handle to find and handle advanced issues that go beyond the scope of regular plumbing as well, such as removing tree roots and obstructions from your drainage lines. We can upgrade your existing plumbing to fit your needs. Considering a complete kitchen makeover and don’t want to be stuck with your sink in the same spot? Or maybe you’re ready to overhaul that old bathroom? Need an extra spigot for your front or backyard garden hose? Let us make quick work of your next plumbing project! 217 Inc. is experienced in all types of plumbing and handles projects big and small for Residential and Small businesses to Large businesses, Industrial and Municipal plumbing systems. Call us today to learn how we can help you with your plumbing needs!